EI5IX: Solar Cycle 24 is peaking!!! Solar Cycle 24 is peaking!!! Came across this very interesting article there yesterday all about Solar Cycle 24 peaking. "It sure looks like we might be heading for an improvement. We're suddenly at almost 200 sunspots, and if this holds up for several months, we'll have some pretty good propagation." The Sun seems to be waking up as it approaches the peak of its roughly 11 year cycle. 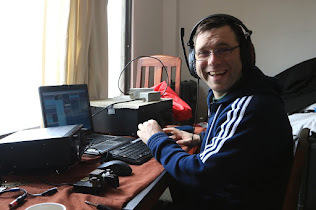 Irish Radio amateurs get a new MF allocation!